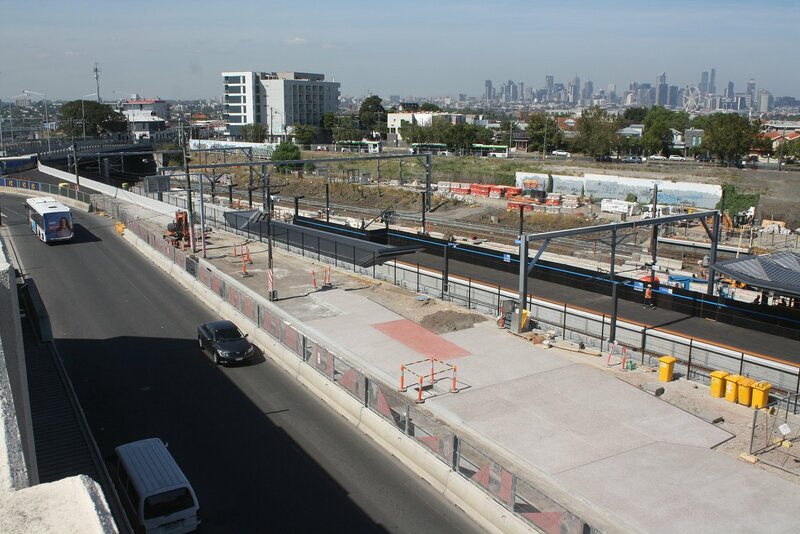 News / Transport / Footscray Station update - Where's the doughnuts? 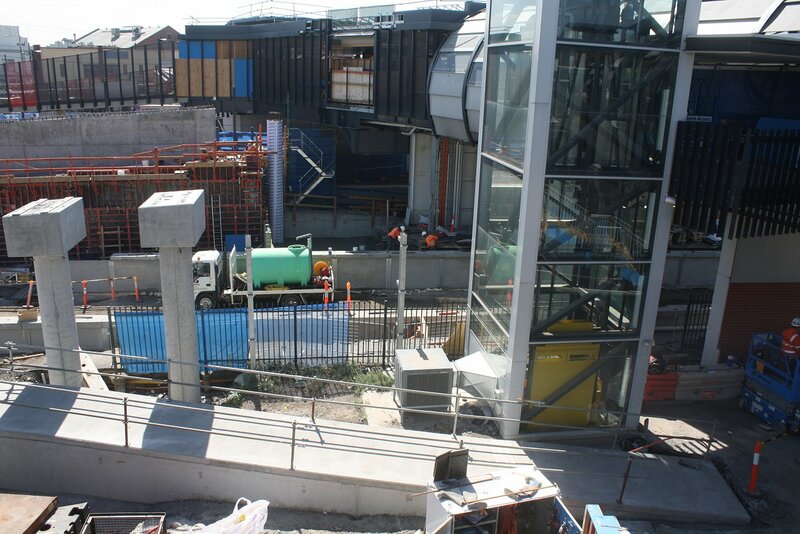 Footscray Station update - Where's the doughnuts? 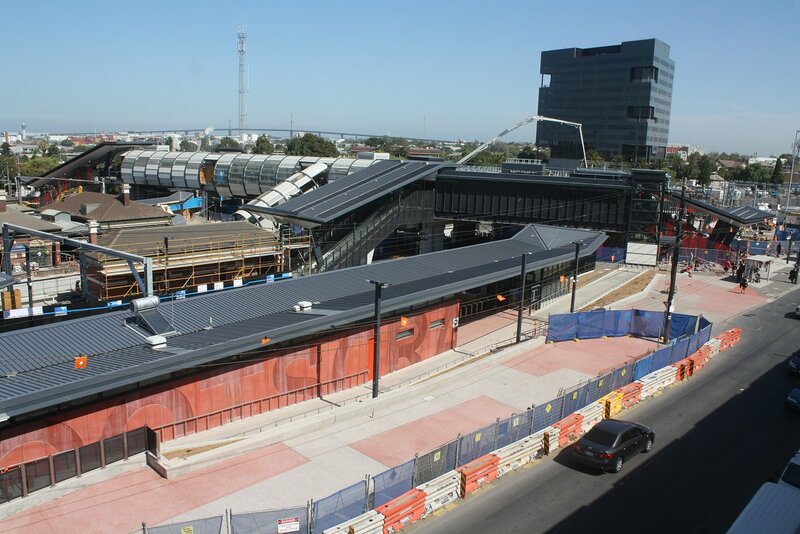 The latest incarnation of Footscray station is starting to take shape as the Regional Rail Link upgrade works steam along towards an early 2015 completion date. 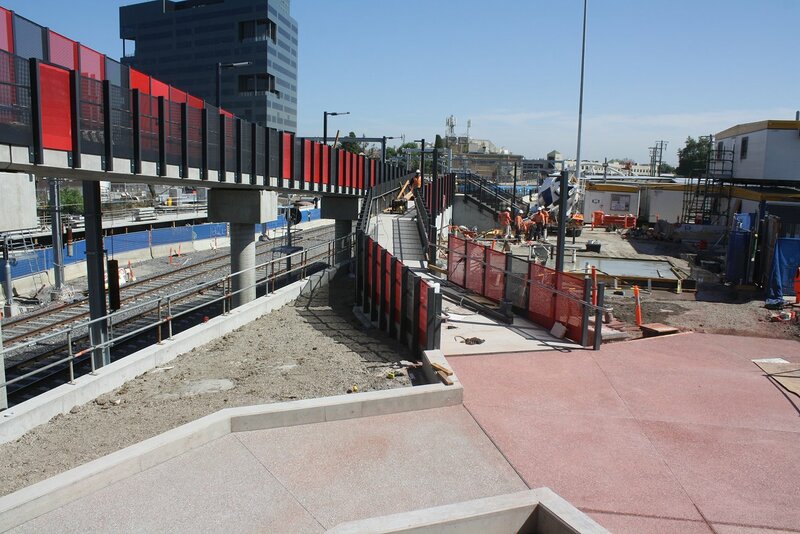 It looks amazing - proof that rail infrastructure can look stylish as well as be functional. Traditionally dark and dingy and a hangout for gangs and junkies, it's now a modern, stylish beacon that the residents of Footscray can be proud of. This is technically the second upgrade in the last four years. 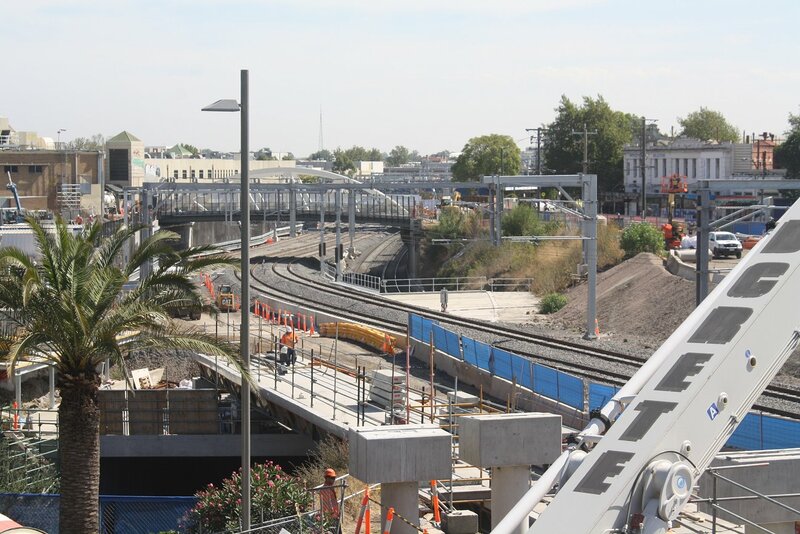 In 2009 the shops on the station side of Irving St were removed, and a new bridge erected, the bulk of which remains today. 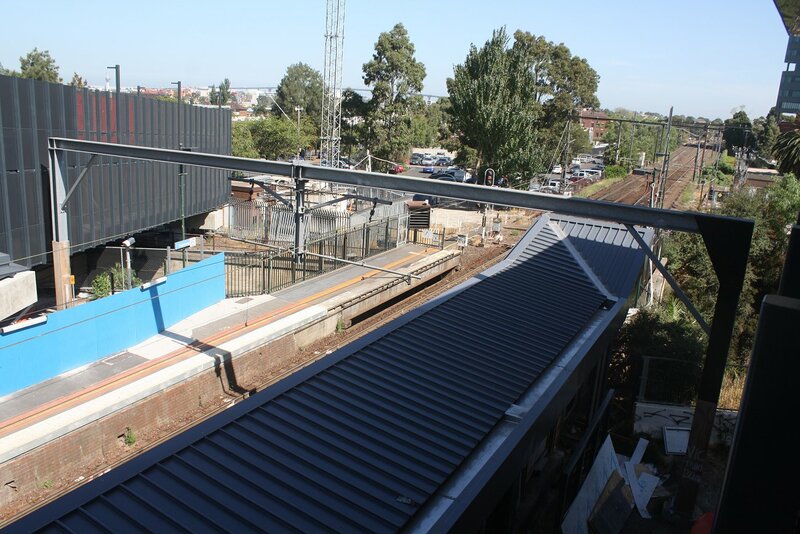 Almost as soon as the upgrade was complete, the Regional Rail Link was announced requiring two extra platforms to be added to the existing four. 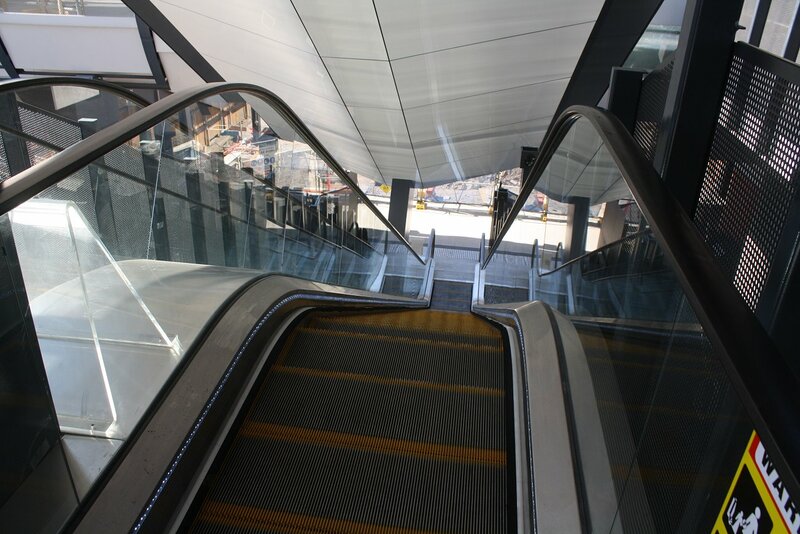 As a consequence, the bridge was lengthened, whilst all the stairs leading to the platforms were removed and replaced with a combination of escalators, ramps and new stairs. 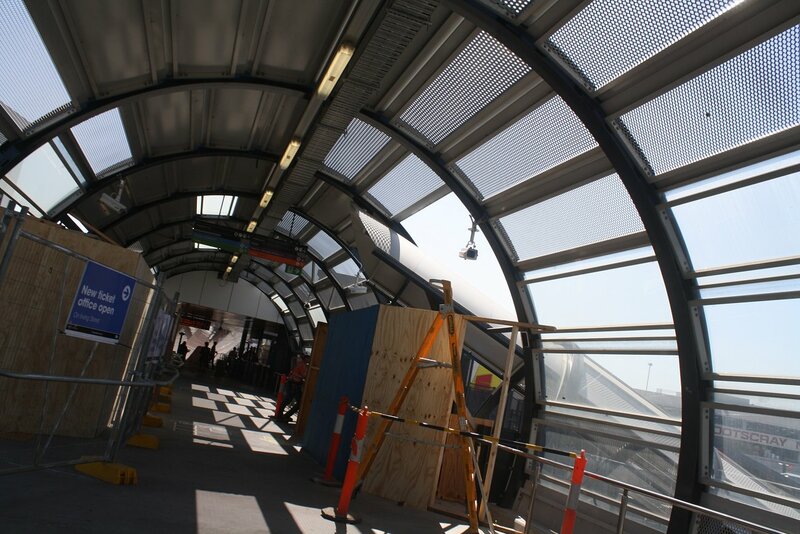 The leaking bridge tunnel roof was patched up, and a new concourse and ticket office has been built at the Irving St entrance. 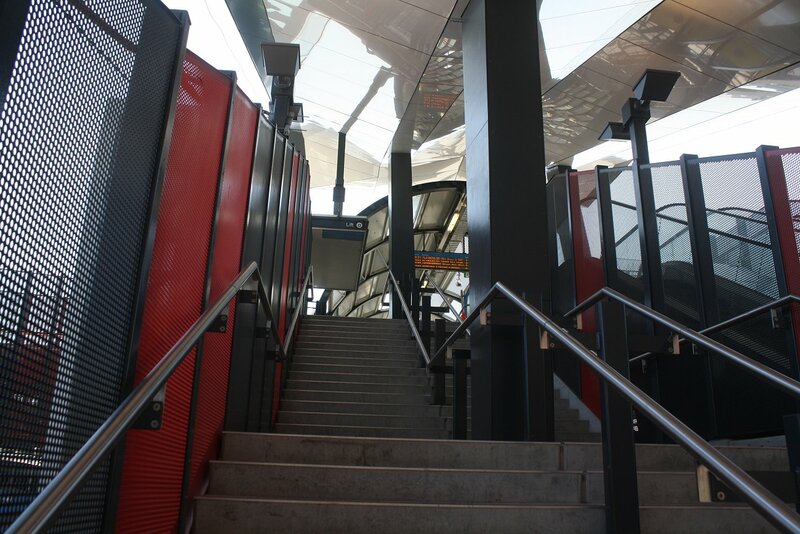 The new platform 1 building's colour scheme and form looks bold and modern whilst remaining respectful of the original buildings on platforms 2/3 and 4/5. 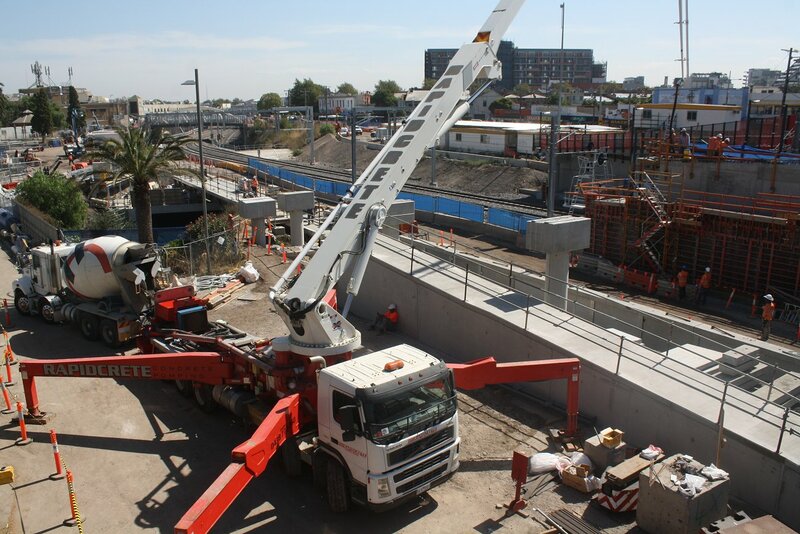 A major bus interchange will run the length of Irving St, whilst an already upgraded tram terminus is located across the road on the corner of Leeds St.
Complimenting the new station development is the construction of Footscray's first real skyscraper. 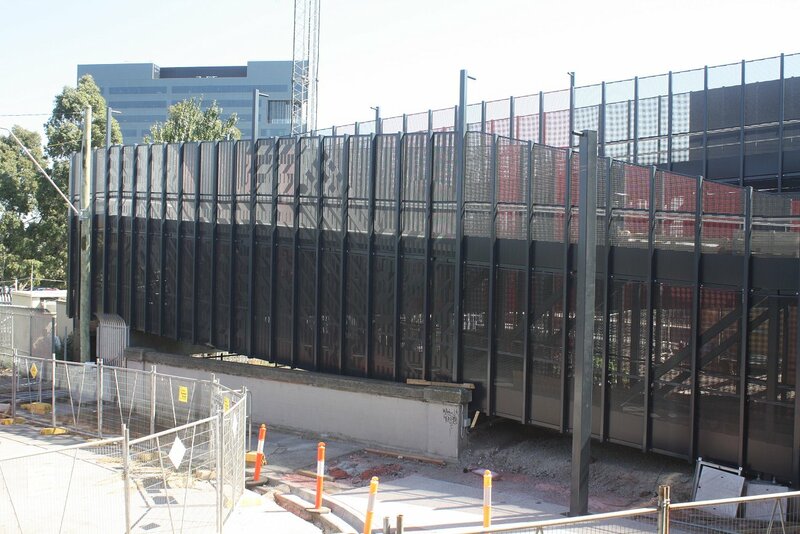 An office tower built on the adjoining McNab Avenue precinct, it will house the government departments of State Trustees and City West Water bringing many welcome jobs to Footscray. Two future residential towers are also planned for the precinct with some cafes/basic retail adding some street level activation. 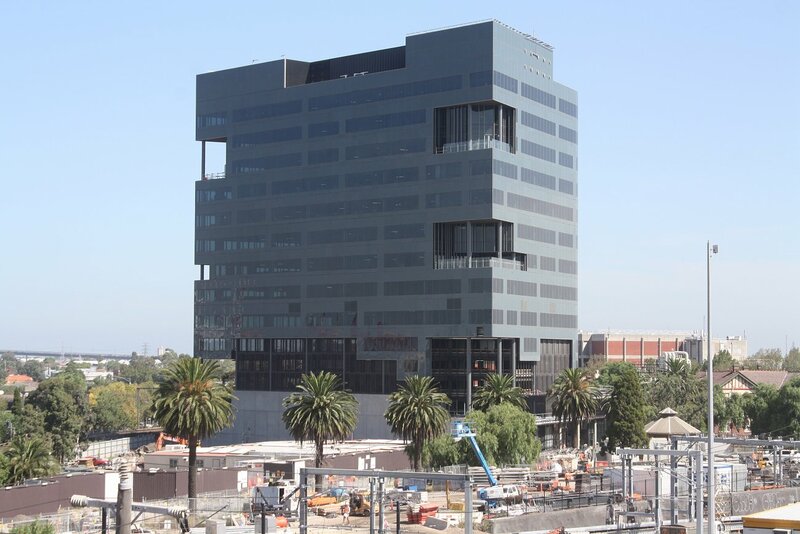 The State Trustees tower is close to completion and makes for a stunning backdrop giving commuters approaching the area an impression of a fast rejuvenating Footscray. Whilst the removal of the shops was controversial, it added some much needed light and open feel to the area. However one trader has survived - the ubiquitous and world famous Olympic Doughnuts. South East Asia may have fried crickets, New York may have cronuts, but Footscray has jam doughnuts to die for, an institution in the West for over 30 years. 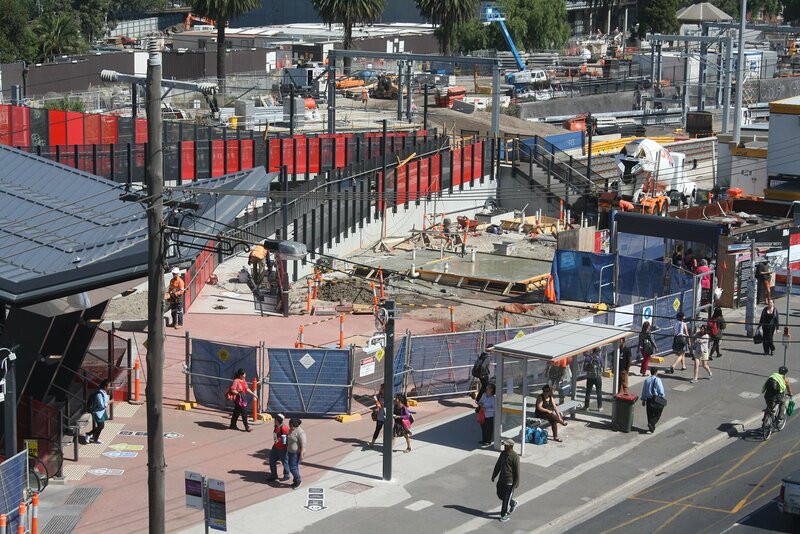 So when it faced the prospect of eviction during the station works, the Regional Rail Link project team moved swiftly to accommodate them, thus saving themselves from the prospect of a riot on their hands. Given the roaring trade the little doughnut van does every day, it was a smart move indeed. 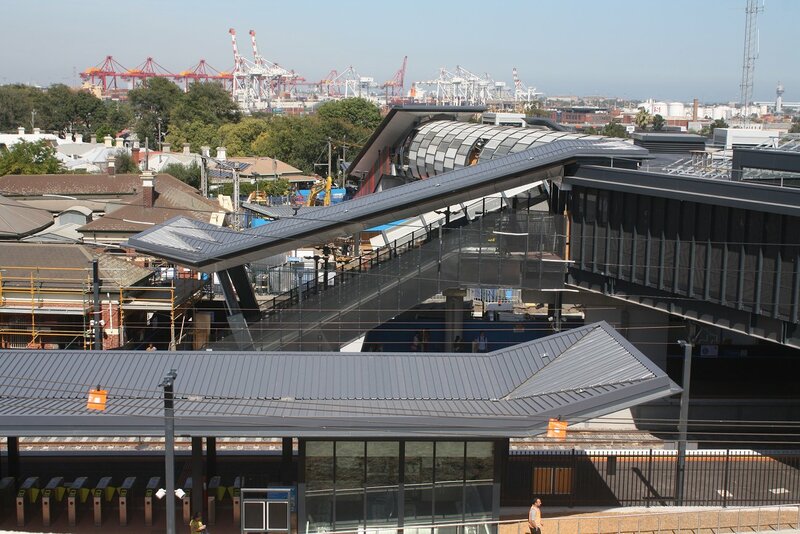 So when the station upgrade is complete, and Regional Rail Link trains start flowing through, I highly recommend you come down and check it out. Projects like this can transform the face of a suburb, and go a long way to changing the negative perceptions it may have. Come to admire the station design, but stay for the doughnuts! 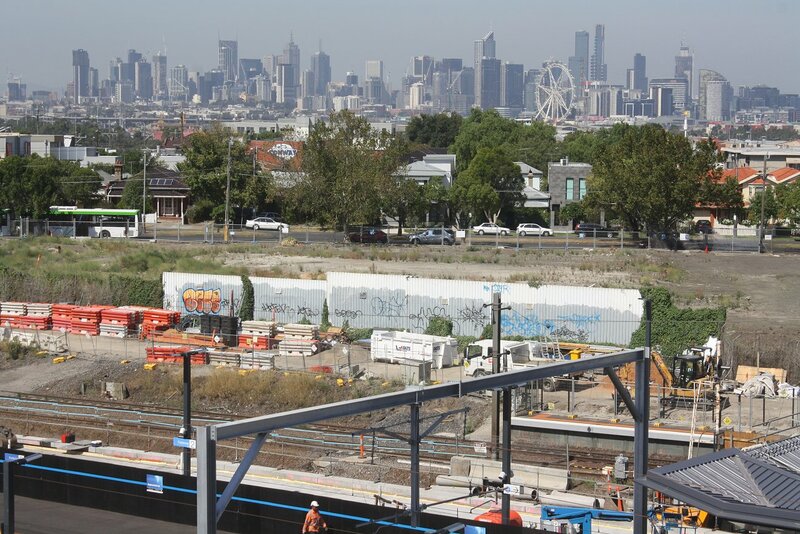 Martin Mankowski is a local resident and Urban Melbourne's honourary Footscray correspondent. Photos captured by Mark Baljak. Somewhat cramped during future peak periods?